Have you ever been looking at the odds of a sporting event that you're hoping to place money down on and wondered where the odds, spreads and more that you see are coming from? 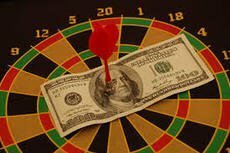 These are the work of sports handicappers who live and breathe sports in order to be able to be as accurate as possible since this is handicappers' life's work and their entire livelihood rests on their abilities. The term and trade may have started with horse racing years ago but experts have spread out to major and minor league teams and leagues from around the world and created a highly competitive environment for those who want to put down a winning wager. Here at Beyond The Bets, our sports handicappers have formed a formidable group to provide not only moneylines, over/unders, and point spreads, but so much more as well. Since it would be nearly impossible for a single handicapper to be an expert in every type of event at once, each different sports handicapper tends to bring their focus onto only one or a few in order to really dig in and get the best accuracy that they can. The process is an extremely detailed ongoing analysis of the myriad statistics that go into any potential match with all sorts of configurations. On the surface, outsiders may suspect that our in-house sports experts are looking at trends, injuries, starting lines, and coaching, and they would be correct but would have missed out on so many other details. Weather, offence and defense, recruiting, league system, recent and long term performance, budget and salary systems, front office, fan base variables, and so much more goes into the simple output. There are many establishments that try to lure players with flashy graphics and empty promises just to make a buck. Some guides will tell you to bet here or bet there. So be sure you are doing your research on all the different providers before it's too late. Some sports handicappers will put out free samples of their predictions for final scores, wins/losses, and similar in order to demonstrate their skill to bettors who are interested in paying for more in-depth breakdowns in order to increase their wins on bets. Look for only the best sports handicappers that have come together here at Beyond The Bets in your event of choice and tap into the lively community that always springs up around these fantastically talented individuals. Sign up today and see how much we have to offer to your game. Here at Beyond The Bets, our betting experts are love betting on sports just as much as you do, which is why you can trust them with all betting markets for accurate results. You'll also notice that Beyond The Bets listed the best sports betting sites on our website. Each of these sites was hand-picked for their variety of betting markets and odds. New customers will also qualify for a welcome bonus when making their first bet on any of the sports available, including American football, baseball, basketball, tennis, F1, cricket, soccer, snooker, darts, and everything in between. Visit our best sites to bet with page for a close-up look at the top sportsbooks today. Lastly, Beyond The Bets will post sports betting advice on a regular basis, so make sure to check in weekly for something new. Our resident sports handicappers will also be posting new odds for all the major sporting events in the world, so there's more than enough reason to visit us again and again. What are the Best Sites to Bet With?